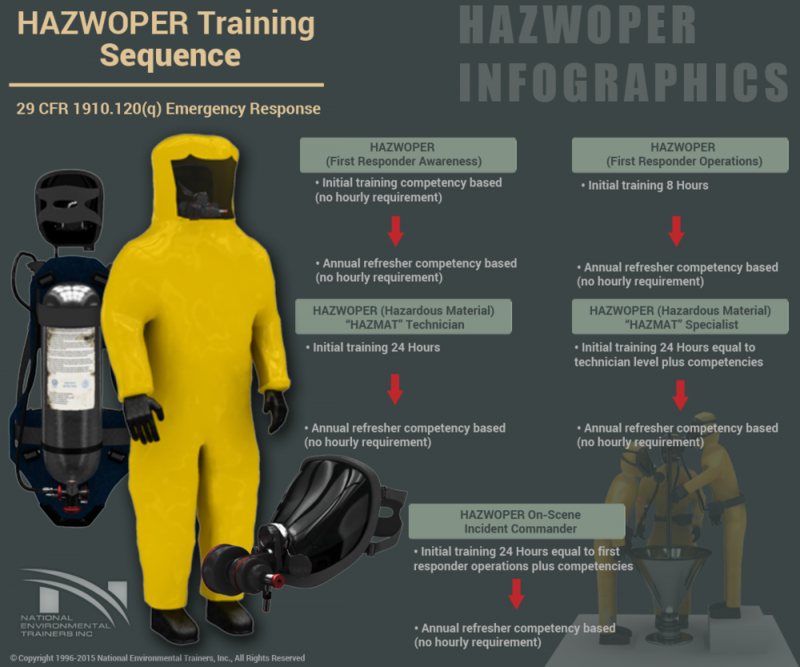 Listed below are 3 infographics that provide a clear and concise explanation of the proper HAZWOPER training sequence for the 3 HAZWOPER levels. 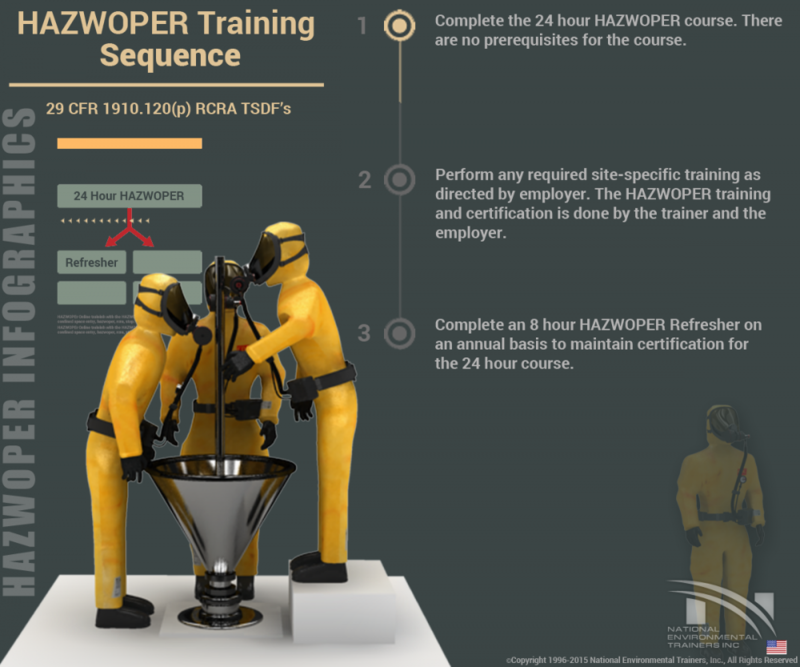 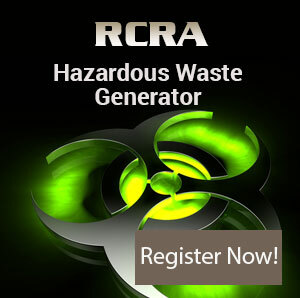 The 3 levels of HAZWOPER training are General Site Personnel, Emergency Response and RCRA Treatment, Storage and Disposal Facilities. 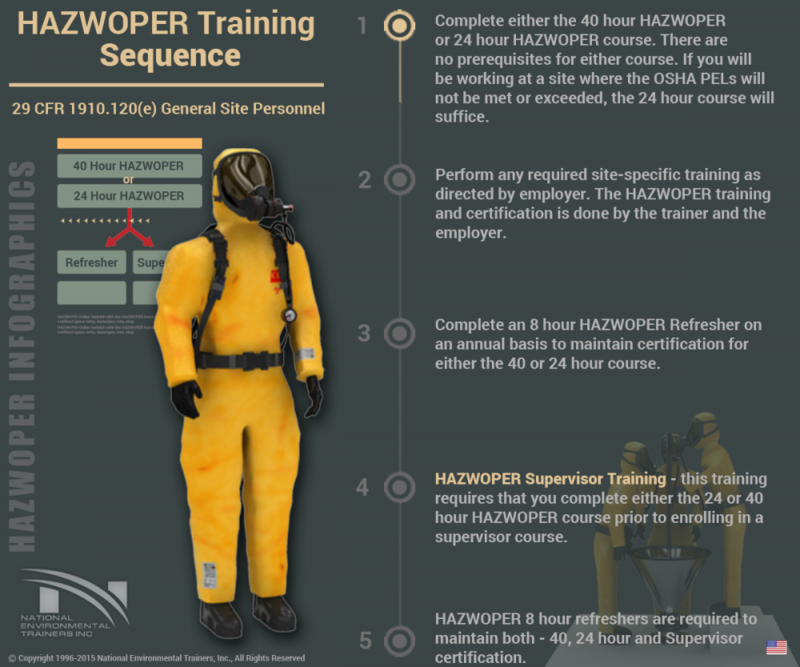 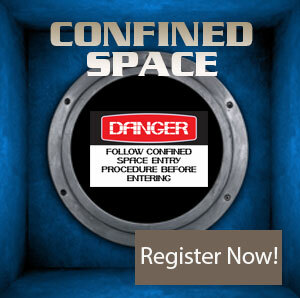 You should be aware of these levels of training and the sequence for your certification. 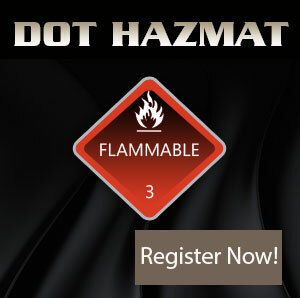 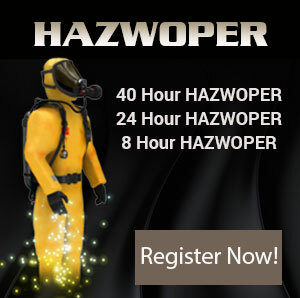 If you have any questions about which HAZWOPER course you should take, please contact us by email or phone.